Look under disappontment in the dictionary and you might see a picture of last year's Memphis Tigers. The Tigers were expected to dominate a weak Conference USA but even though they won their conference the dominance wasn't really there. 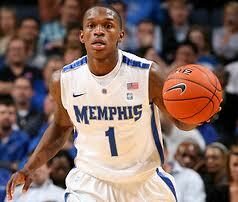 Then, with a weak out-of-conference schedule, Memphis faltered to an eight seed only to beat by Saint Louis. With nearly every starter back, no disappointment should happen in Memphis' final year before their move to the Big East. Backcourt: Josh Pastner finally has some experience in the backcourt with guys like juniors Joe Jackson and Antonio Barton. Jackson will likely be the point guard and he could have a truly special season. He can put up double digit points every single night and will improve in the assist with all the talent around him. Barton could take big steps in his junior year in nearly every single category including points where he averaged 6.6 a game last year. Another junior, Chris Crawford should start at shooting guard or small forward. He also is a big contributor in the scoring column but he is probably the best defender on the team averaging 1.8 steals a game in 2011-2012. Freshman Damien Wilson provides some depth and looks like the rest of these Tigers, very exciting but not great shooters. Junior Geron Johnson will be a deep reserve this season but has a chance to play solid in small minutes this year. 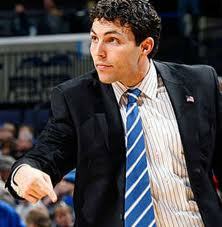 Frontcourt: The Tigers will be very small up front but with their style of play that may not be such a bad thing. Junior Tarik Black is very efficient in the frontcourt making 68.9 percent of his shots from the field. He has to show more in the rebounding column though, which was the Tigers biggest weakness a season ago. He'll have scoring ability all around him especially with sophomore Adonis Thomas who can score anywhere. With more minutes he'll really have the green light this season which is bad news for opponents. Senior Ferrakohn Hall won't be lethal in any one area but is a solid option in scoring, defense and can help keeping Memphis stable on the boards. Pastner gained a player who could have a huge freshman year in Shaq Goodwin. Goodwin is raw in a number of areas but has the potential to be one of the better players in the conference, if he gets the minutes to do so.